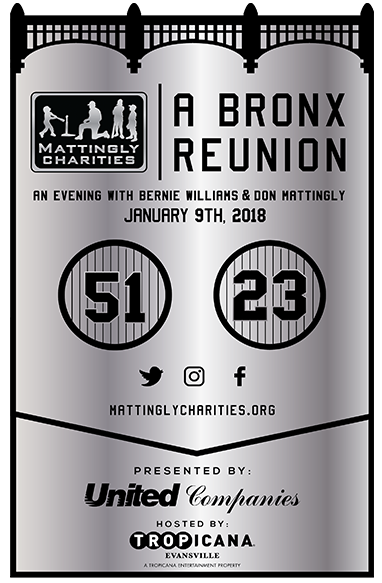 In January, 9, 2018, over 200 attendees were present for our annual fundraising event, themed 'A Bronx Reunion.' 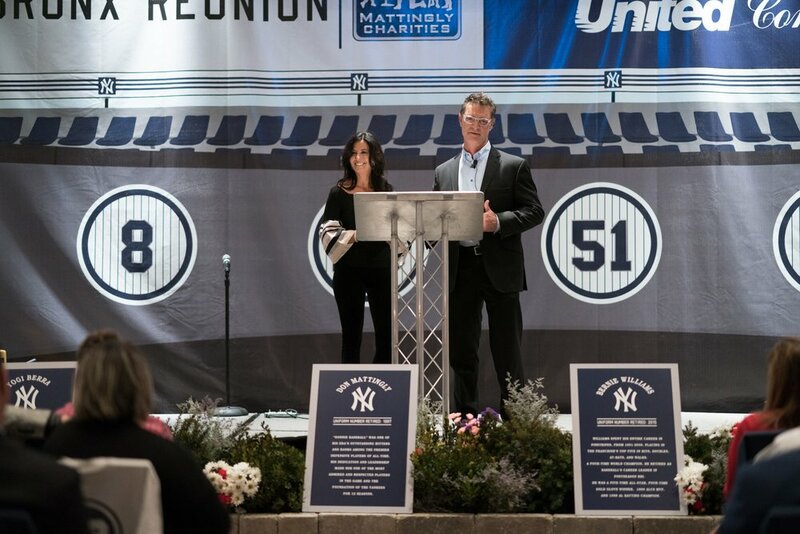 The evening featured a fireside chat with Don Mattingly and special guest, Bernie Williams, who also gave a live musical performance. 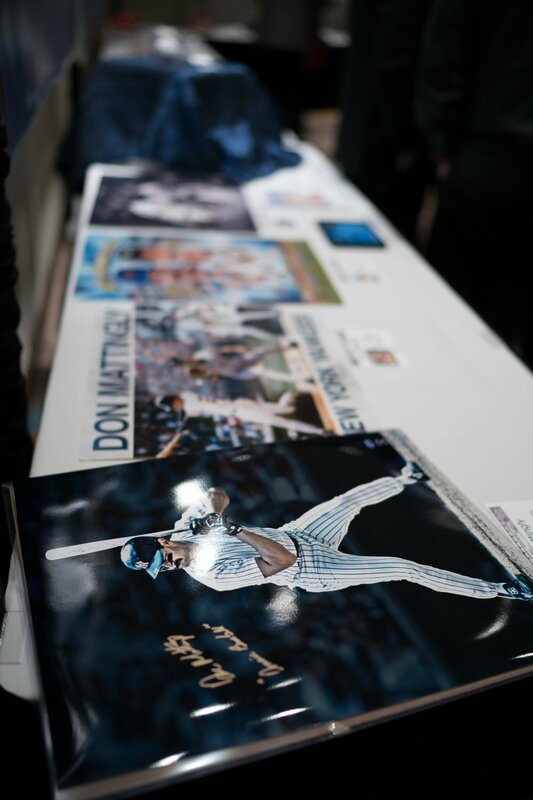 The event was held at Tropicana Evansville and included a silent auction with one-of-a-kind items to benefit Mattingly Charities. VIP ticket holders were given the opportunity to take a professional photograph with Don and Bernie, preferred seating, and access to a private reception before the program began. One of the evening highlights was when a small children’s choir from Delaware Elementary School performed the song Hallelujah, accompanied by Bernie Williams. A center fielder, Williams was a member of four World Series championship teams with the Yankees. He was a five-time MLB All-Star and won four Gold Glove Awards. He also won the Silver Slugger Award and American League Championship Series Most Valuable Player Award. Known for his consistency and post-season heroics, Williams is one of the most beloved Yankees of all time and his number, 51, was retired by the Yankees in May 2015. Williams is also a classically trained guitarist. Following his absence from baseball, he has released two jazz albums and was nominated for a Latin Grammy in 2009. On behalf of the City of Evansville, I want to personally thank Don and Lori Mattingly for hosting the "Bronx Reunion" in our community. 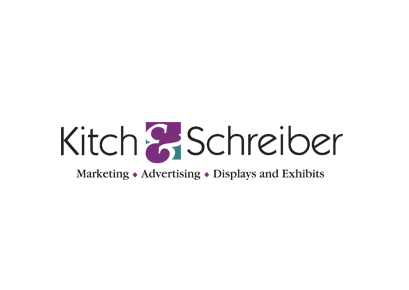 I also want to thank you for supporting tonight's program, because ultimately, a portion of the proceeds will help underserved children with programs that promote youth development right here in Evansville. 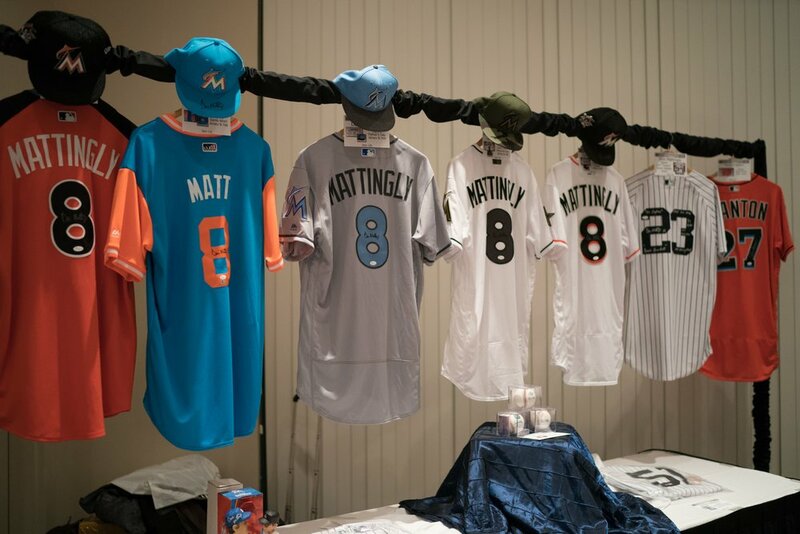 This past year, Mattingly Charities continued to have a positive impact on children in our community. 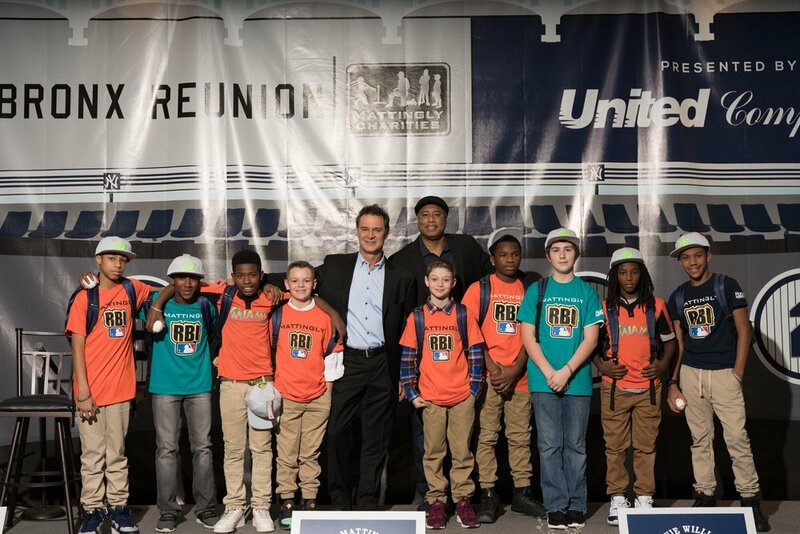 The Mattingly RBI program reached even more inner city kids than the previous year with the support from the Boys & Girls Club and the YMCA, they provided funding for the expansion of the Summer Learning Loss Prevention Program at the Glenwood Leadership Academy, and they supported the City sponsored Splash Into Summer swimming program. 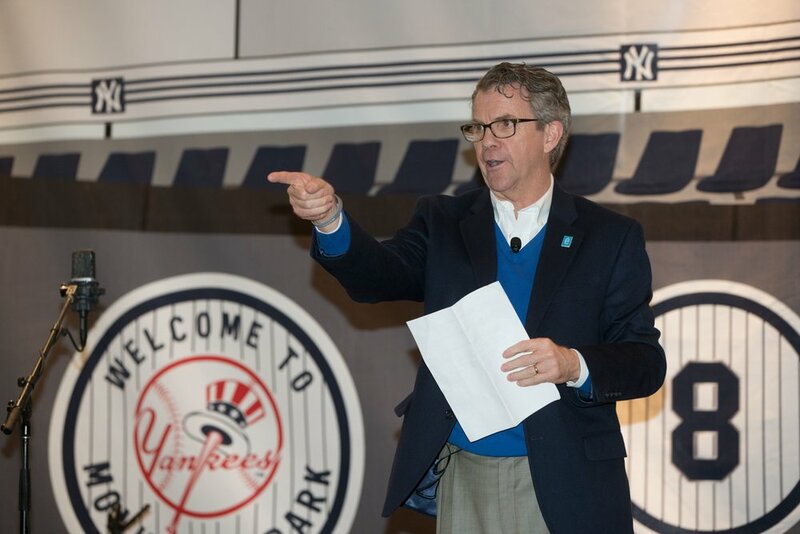 There are many great things happening across our City. 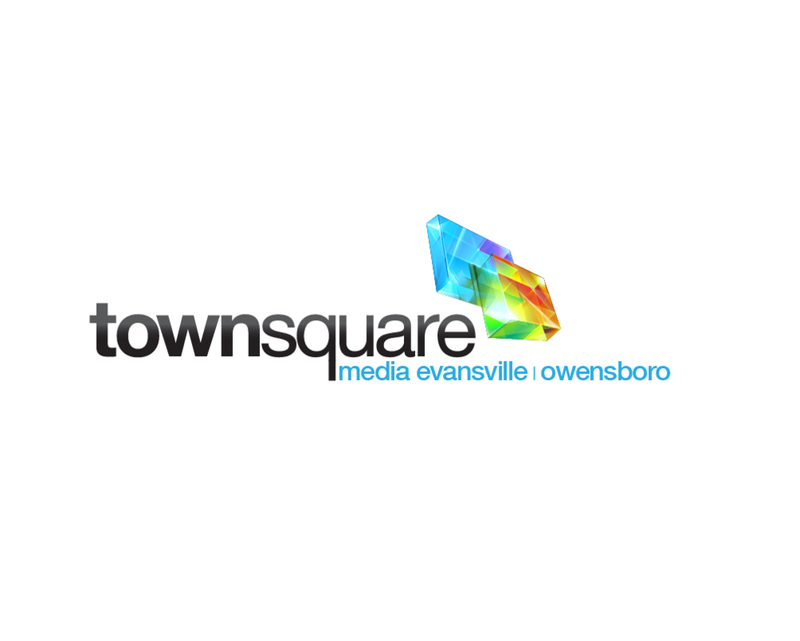 But, I am always proud to say that Don calls Evansville home and that he and Lori want to leave a lasting impact on our community.